Shopping for Game of Thrones Statues? Let the game begin! A fierce warrior in the HBO series Game of Thrones, it's Brienne of Tarth! Standing taller than most men and armed with her sword Oathkeeper, the Maid of Tarth will not back down. 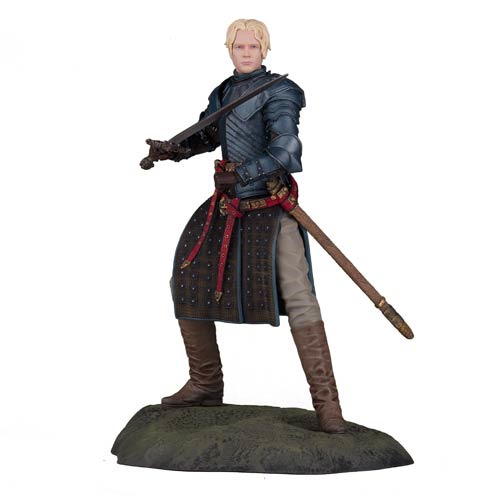 This Game of Thrones Brienne of Tarth Figure is a non-articulated figure based on actress Gwendoline Christie. Measures approximately 8 1/2-inches tall. Ages 14 and up.